Enjoy Natural Value Recycled Paper Cups. 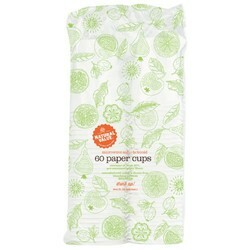 Environmentally Friendly And Affordably Priced, These Paper Cups From Natural Value? Are Microwave Safe, Contain At Least 20% Pre-Consumer Paper Fibers, And Are Manufactured Using A Dioxin-Free Bleaching Process. This Is A Great Way To Get The Products You Need While Knowing You Are Doing Your Part To Reduce Your Carbon Footprint. Made In The Usa (Note: Description is informational only. Please refer to ingredients label on product prior to use and address any health questions to your Health Professional prior to use.